Tokenlend is a P2P lending platform aimed to be used by Real Estate Loan Originators, the platform is looking to offer low risk lending funds for investors, while making the same funds attractive to the Loan Originators by being low fees and low-bureaucracy. For this review, I have studied the Whitepaper, the team involved, the market they plan to enter, token value for investors, looked for pros&cons, possible red flags, and also have spoken directly to somebody involved in this project to answer my questions and doubts, in the case of this ICO I have spoken directly to Sergei Naiden, the CEO of TokenLend. The Loan Originator job is to review the borrower’s application, and if approved the money will be handed over from the Capital Provider’s fund, if there is any legal problem regarding the borrower then it’s also the Loan Originator job to take care of any legal procedures that will follow. This system works, but at the cost of being very bureaucratic, having several middleman with their own regulations and fees, resulting in the operation costing more for the borrower than it should be, and that cost won’t be going for the investor’s profit since it will be used to pay the fees and people in between. In this system the investors are also limited to their geographical locations. TokenLend solution is to create fund where the Loan Originators can easily get money from the investor’s fund to the borrower, without any middleman in between the operation. The “User”, in this case is the investor who wants to lend money and earn interests rates. 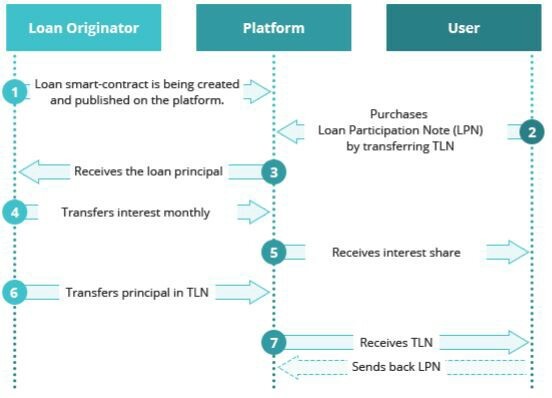 TLN, is the token used by the platform, however all lending will be done by purchasing LPN (Loan Participation Notes), and not from TLN token itself. a LPN will be the minimum share value of a loan, this value will be fixed once the platform goes live, so for example lets say a borrower needs €200k , that value will be divided in several LPNs where several investors can trade their TLN for LPN. Each month the participants of that loan will get earn rates paid in ETH, and they will get back some of their TLN while sending back the LPN. The total amount of TLN the investors will receive by the end of the contract will always be the same regardless of market fluctuations, and the interest rates will be paid in ETH based on the market value of the time of the payment. LPN can be traded inside the platform in the case of a investor wanting to liquidate his loan, this will be a secondary loan market. LPN cannot be traded outside the platform, while TLN will be available at the exchanges. In the future the platform will allow investors to participate in loans by purchasing LPN directly with fiat or with cryptos other than their own TLN tokens. TokenLend has a small team that is responsible for developing the DAEMON Tools software, this software has been in the market for quite a few years already. Team advisers consist of some specialists in the loan and financial market. There are plenty of crypto based lending platforms, such as Salt, ETHLend, Sweetbridge, as well as non crypto based ones such as Prosper, however most of those platforms are directed towards the borrowers themselves and require some type of collateral that can easily be liquidated, therefore limiting the amount of money the borrower will be able to get. In the case of TokenLend, since the loan will be managed by the Loan Originator, it will allow borrowers to get high loans based on their income for example, and the Loan Originator will also handle any local legal problems. While the TokenLend system is not perfect and still relies on a middleman, it allows for much higher loan values with lower risks to investors. 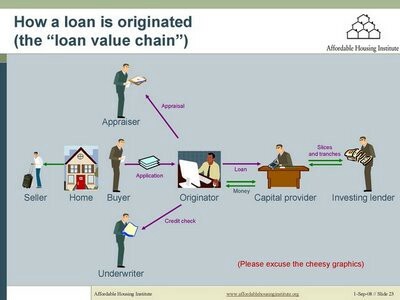 Also since the platform is focused on the Loan Originators rather than the borrowers themselves, it would have a much faster adoption rate since the borrowers under that Loan Originator would be indirectly using the platform. Looking at the roadmap, we can see that it will take over 1 year for the full public launch of the platform, but there will be some payments from the early access before the public launch. For an investor the most important thing to look for in a ICO is the token he is investing, and if the platform will do anything in order for the token value to continue to increase in the future. TLN holders can participate in any loans, and earn interest rates. TLN holders will receive a share on the company’s profit. Holders who participate in the ICO will also receive a regular share on the platform’s operation. The most interesting part is that the holders will earn regular dividends based on the platform’s success. However it’s worth noting that eventually investors will be able to use fiat and other crypto to participate in the loans, this could cause the demand for the TLN token to drop in the exchanges, and it’s value will be based mostly in the dividend income, a positive thought about this approach is that by allowing more people join the platform with their fiat or crypto of choice, could make the platform grow significantly more and therefore the dividends would be higher. During the ICO token sale, there will be soft cap of 20,000 ETH and a hard cap of 140,000 ETH. Also noting that 75% of the total tokens will be distributed during the ICO, and the team and advisory tokens will be locked in period from 12 to 48 months. That’s quite a long time for locking and it shows the long goal mentality about this project. The usage and adoption of this platform could potentially be very high since it’s focused on Loan Originators, and not at the borrowers. Loan Originator would be the one responsible for any required legal procedure, and not the platform. No Minimum viable product until the end of the year. Little community support on this project so far. TokenLend is a long term investment, don’t expect this to offer a significant amount of return in the upcoming months after the ICO, however I really like the fact that they will pay dividends to holders, and a extra dividend to those who participated in the ICO. The platform is not a revolutionary one and it instead aims for a more conservative approach. If they manage to set up a deal with just a few Loan Originators the platform would be a success. I also really wished they already had a MVP before doing the ICO, this would give far more confidence to investors.